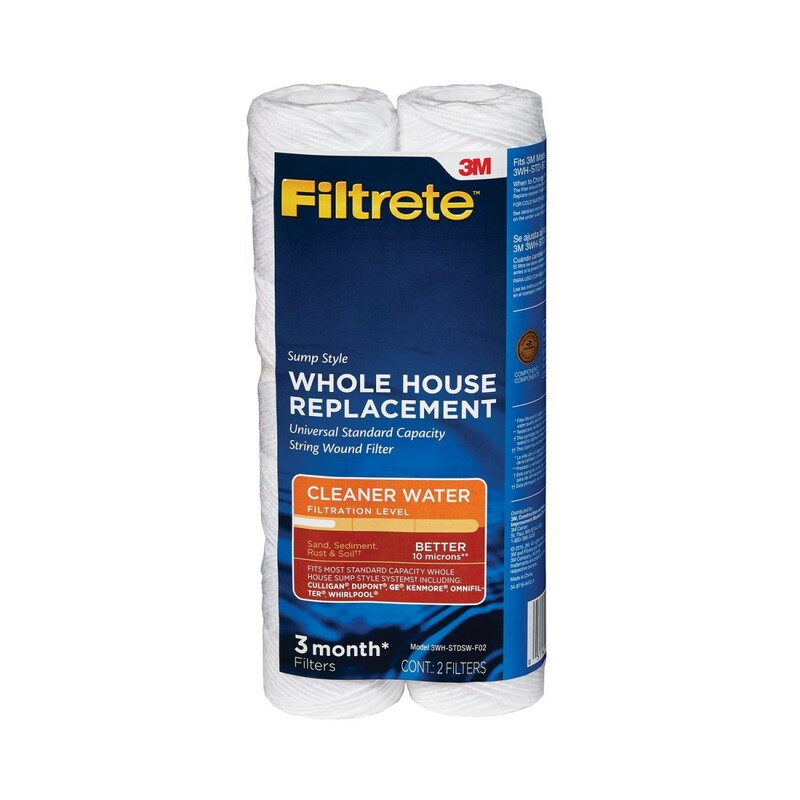 3WH-STDPL-F02 3M Filtrete water filter cartridges will capture virtually all large sediment and dirt particles, 30 micron or larger, keeping them out of the water in your home. Each filter cartridge in this economical two-pack is genuine OE from the manufacturer and designed to last for up to three full months. Sized to fit into any filtration system housing that accepts 10 x 2.5 filters, these cartridges are ideal for use as stand-alone sediment filters or as pre-filters. Order this affordably priced two-pack of 3WH-STDPL-F02 3M Filtrete water filter cartridges today! The FILTRETE-3WH-STDPL-F02 does not reduce fluoride.